Performance Repel is a perfect companion to Performance Wash and not just because of the name. This spray-on waterproofing treatment is ideal for restoring the water-repellency in all technical fabrics. Active Wash removes lingering odours found in your baselayers. As well as removing dirt and odours, it improves wicking properties and, thanks to its effectiveness at low-wash temperatures, it also reduces kit drying times. 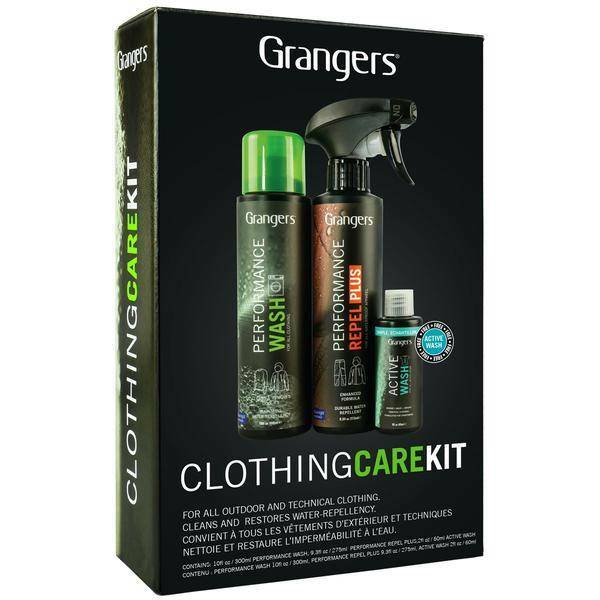 So, with this handy kit covering all your clothing care needs, what more do you need to keep your gear performing?